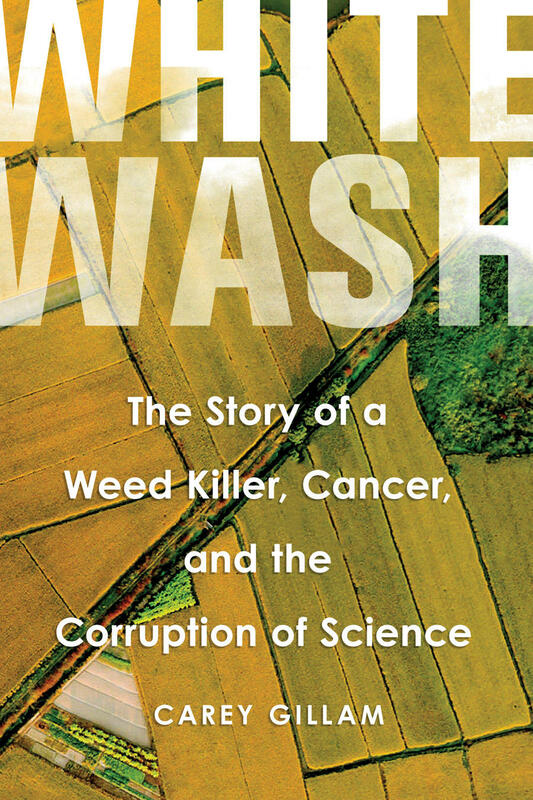 In her new book Whitewash: The Story of a Weed Killer, Cancer, and the Corruption of Science, Kansas City-based investigative journalist Carey Gillam makes the argument that the chemical industry — particularly Monsanto — has spent decades deceiving the public about the dangers of Roundup, the popular weed killer. “Everyone who eats is impacted by this chemical,” Gillam says. Gillam has been investigating biotech crop technology, agricultural chemicals and pesticide development, along with the environmental impacts of American food production, since 1998. When she began covering these topics, one of her first assignments was to learn everything she could about Monsanto from a business standpoint. 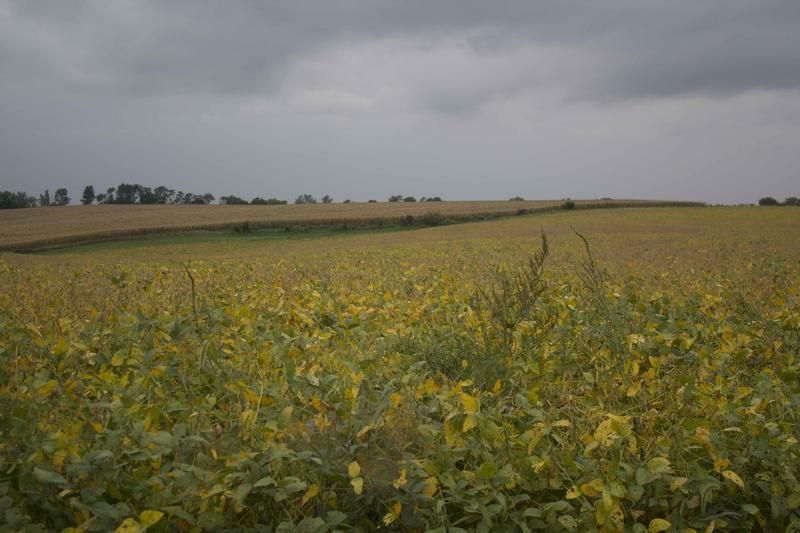 The more she learned, she says, the clearer it became to her that Monsanto was knowingly passing off a product as safe which not only had terrible consequences for the health of consumers and farmers, but a devastating environmental impact as well. In our recent conversation, I asked Gillam to talk specifically about one common agricultural chemical called glyphosate, which she says has been discovered in almost everyone's urine. GILLAM: "Glyphosate is the world’s most widely used agrochemical. In historic quantities we have been basically dousing our farm fields, parks, playgrounds, lawns and gardens, and golf courses with this chemical since roughly 1974." KNIGGENDORF: "What does glyphosate in people's urine indicate?" GILLAM: "It depends on who you ask. The reason that it is in our body, that it is apparent in human urine, is that—"
GILLAM: "Well, pretty much, if you have it checked. It’s because we’re consuming foods that contain glyphosate residues. It’s not only sprayed on genetically modified crops, it’s also sprayed on wheat, oats, barley and other crops directly before harvest. Then it’s used in production of oranges, almonds, tea and tobacco. Monsanto and the chemical industry say the fact that it’s in your urine is a good thing, because that means it’s getting flushed out of your body so it’s nothing to worry about." KNIGGENDORF: "You write that the lawsuits, which began in 2015, will most likely rival the lawsuits over DDT, asbestos, and PCBs. Do you really think it’ll reach those heights?" GILLAM: "If you talk to lawyers and independent observers and others, they do feel very strongly — and the evidence is pointing to the fact — that this could be very similar to what we’ve seen in the tobacco industry, for example, and with PCBs and asbestos. They’re all examples where giant industries and corporations proclaim their products to be safe, over and over and over again for decades. And it was really only through litigation and the uncovering of internal documents that the public and the regulators and the policy makers were able to see clearly the dangers that had been hidden from the public." KNIGGENDORF: "What are the lawsuits alleging?" GILLAM: "They all allege that Round-up caused them or their loved ones to suffer from Non-Hodgkin lymphoma. There are about 3,000 plaintiffs so far. There are many more thousands in the wings, the lawyers say, and the first trial date is set for June of next year." KNIGGENDORF: "You also write about genetically modified organisms. I’ve always thought of GMOs as just the regular plant made hardier somehow. But that’s not at all what you’re talking about in this book." GILLAM: "Right. 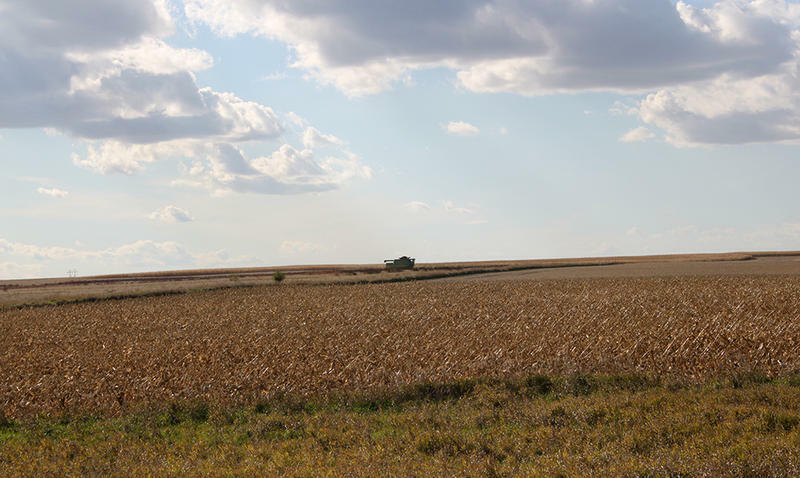 The industry has very carefully crafted the narrative that these genetically modified crops are nothing more than just a little tweak to Mother Nature to make the crops hardier or yield better, to help feed the world. 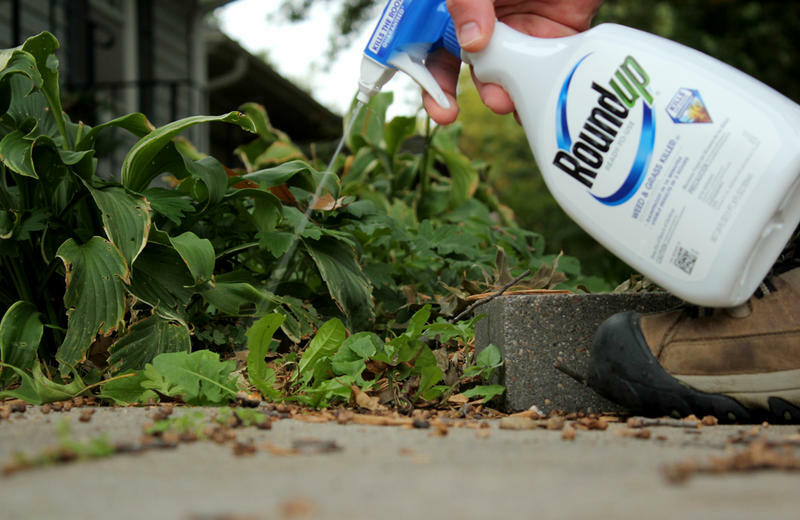 They're designed so that farmers can spray them directly with glyphosate-based herbicides, which help the chemical companies lock in billions of dollars of sales. 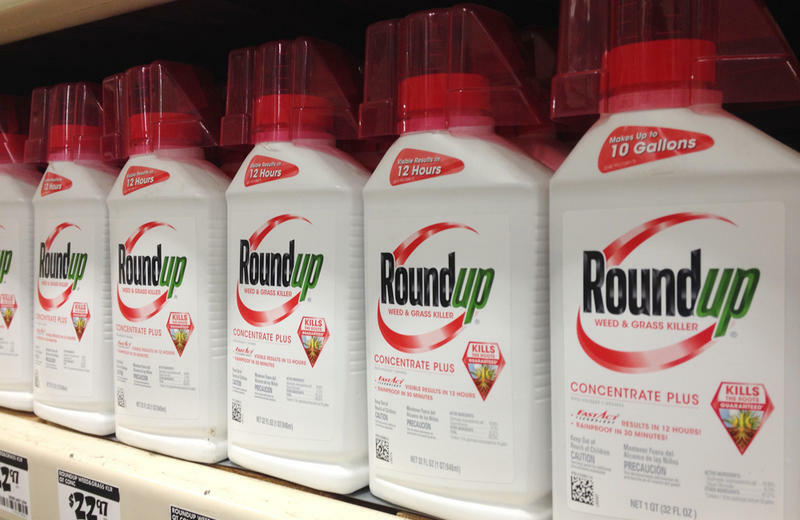 Monsanto dubbed this the ‘Round-up Ready System’: Use Round-up with your Round-up ready corn and Round-up ready soy beans, and cotton, and canola and sugar beets, and farmers, in theory, can keep their fields free of weeds." KNIGGENDORF: "You write that more than 70 million acres right now in the U.S. are infested with superweeds, weeds that are resistant to the chemicals in Round-up." GILLAM: "When Monsanto rolled out the Round-up Ready crops, the Round-up Ready system encouraging the wider use of glyphosate year after year after year, planting the same crops in the same fields and pouring the same chemical on it, agronomists and weed science experts said this was not good, that weeds are going to quickly become resistant to this. They said farmers were going to be using more and more and more chemicals, and that’s exactly what happened. Some farm fields, particularly in the south, have become so infested with these weeds that will not die that crop losses are running into the billions of dollars. So the answer that the chemical industry has come up with is: Let’s combine glyphosate with some older herbicides that are known to be more toxic: 2, 4-D, which was used in Agent Orange, and Dicamba. So they are combining these chemicals in these new herbicide products and they have developed new genetically modified crops that can be sprayed directly with Dicamba and Glyphosate or directly with 2, 4-D."
KNIGGENDORF: "You quote a 25-year veteran of the EPA’s office of pesticide programs as saying, ‘They use their lobbyists to shape national policy by almost buying politicians. It’s this corruption that subverts the EPA. I am not a prophet, but I can see a very dark future if we fail to ban glyphosate and all other neurotoxins and carcinogens in our food and natural world.’ I find that striking." GILLAM: "You don’t get a lot of argument, actually, from people who are inside and who know this in Washington. It is abundantly clear from documents that we’ve obtained from inside the EPA, the Food and Drug Administration, and the U.S. Department of Agriculture. I have thousands of pages of Freedom of Information documents. We have the documents from inside Monsanto, and we have whistleblowers who have worked within the agency. The concept, particularly in America, is that capitalism is good. We want to support big business and jobs and profits and corporate interests. Lawmakers who receive big dollars from these companies are very invested in making sure these companies are protected and encouraged, and that trickles down to the political appointees at the top of these agencies." KNIGGENDORF: "It also sounds like these chemical companies also have their fingerprints all over websites people would go to for information. Are there websites that you know of as being truly independent?" GILLAM: "I would have said WebMD is great. But you see in the internal documents how Monsanto and their PR agencies and other surrogates enlist people to write blogs and (material for) WebMD. The PR company will draft it for them, but they want it to look like it’s coming from an independent individual. It’s outrageous." KNIGGENDORF: "What can I do to protect my kids today and down the road?" GILLAM: "I think the answer is different for everybody. You need to have the information, and you need to decide what’s important for yourself. If you want to avoid pesticides at all costs, the only answer right now is to either grow it yourself or buy organic, because that’s certified and (organic farmers) have to be very careful about things they use in production. Some people choose to just wash their fruits and veggies really well, because we know that those carry a lot of residue of chemicals. It’s a good idea to talk to your school board or your city council and say, 'Do we really need this stuff sprayed in our parks where my kids play? Do we really want this on the golf course?' Write to your lawmaker if you’re concerned. It depends on your level of concern and the level of involvement and engagement that you want."